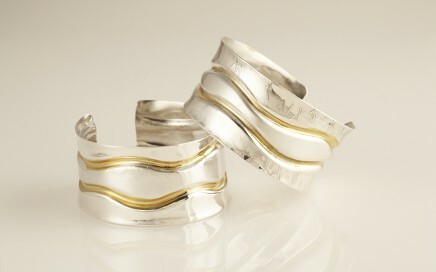 Recycled Silver Cuff with 23 carat gold plate in waves. 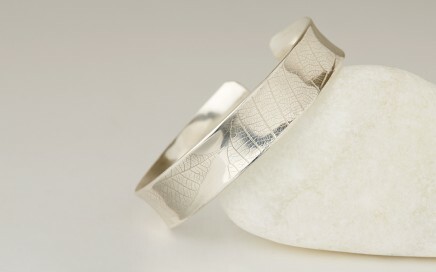 Textured or smooth finish. 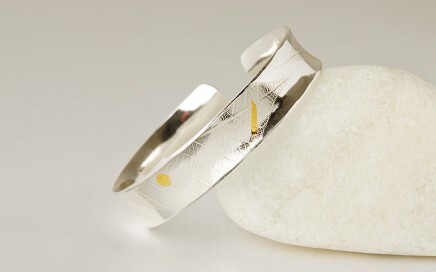 Recycled Silver Cuff with 24 carat fused gold for decoration and leaf embossed. 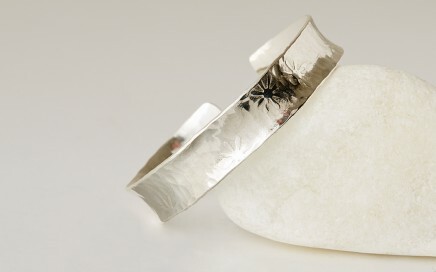 Recycled Silver cuff, hammered with embossed daisy’s. 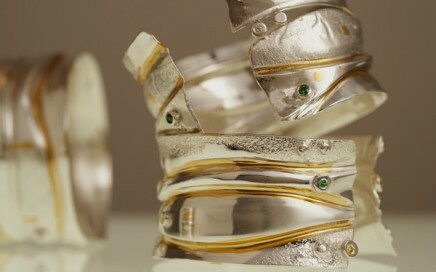 Recycled Silver Cuff with 23 carat gold plate in waves. The finish is either textured or smooth. 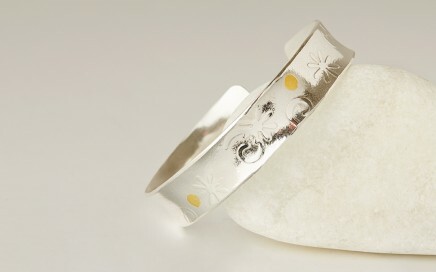 Recycled Silver Cuff with 24 carat fused gold and embossed daisy & swirls on silver for decoration. 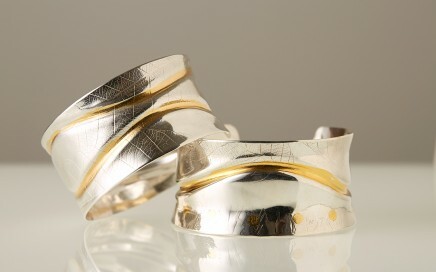 Recycled Silver cuff with embossed leaves. 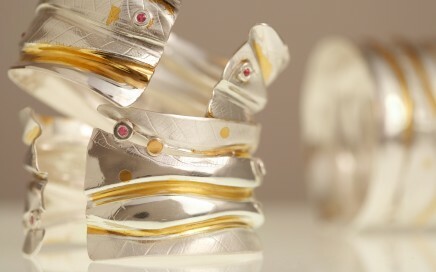 Recycled silver cuff, with a choice: embossed leaves, textured, sapphires, or Diamonds flush set with 23ct gold plate in the Folds. Please contact April for your specific, design and requirements.